Mount Kusum Kanguru is a mountain with a difference. It is a complex mountain with triple summits, addressed as Three Snow-White Gods by the local population. 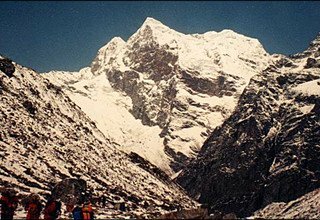 Among these three, the northern face of the main summit is the most magnificent.The impressive rock and ice peak, which has al least five major ridges, acts as a border between the Dudhkosi in the south and Hinku Valley in the north. 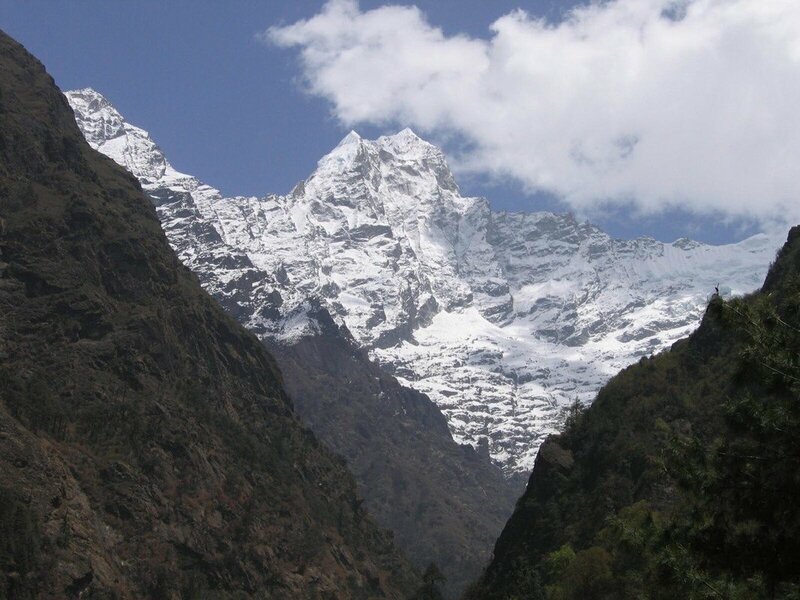 Described as extremely challenging on all possible routes by the trekkers, Mt. 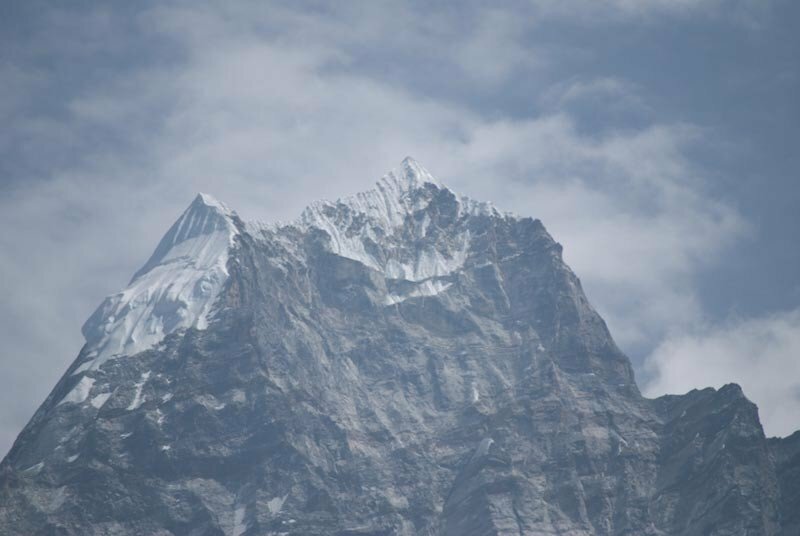 Kanguru Peak dominates the southern end of Charpati Himal. 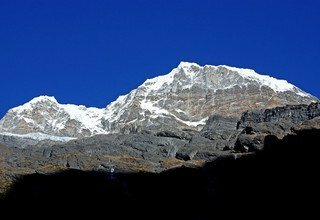 Dominating the southern end of Charpati Himal that separates the valley of the Dudh Koshi from the upper reaches of Hinku Drangka lies Kusum Kangru(6369m). This peak is a complex, triple summated mountain, having at least five major ridges and faces. The north face of the main summit is the most spectacular one. 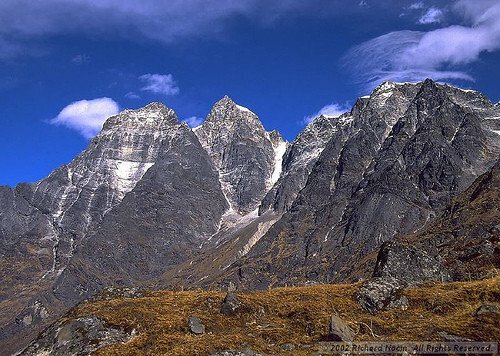 The name Kusum Kanguru comes from Tibetan meaning “Home of three gods” and it actually has three different summits. This peak is one of the most difficult trekking peaks to climb and was a first ascended in the autumn of 1979 by a Japanese team. Kusum Kanguru has the reputation for beings the most difficult without doubt increased by the level “ trekking peak” , with all that entails. It can in no way, even by its most moderate route, be compared with the more straight forward climbs on summit such as Island, Mera, or Pisang for instance. The climbing is technically difficult, needing a high degree of commitment and experience. Day 1; Arrival in Kathmandu meet SFT staff and transfer to Hotel , welcome drink. Overnight at Hotel. Day 2; Rest days at Kathmandu and sightseeing tour. Overnight at Hotel. Day 3; From Kathmandu to Lukla by flight. Overnight at tented camp. 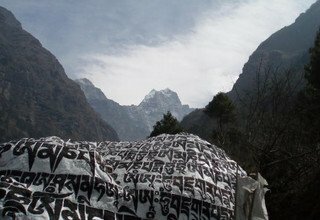 Day 4; Trek from Lukla to Chutanga, Overnight at tented Camp. Day 5; Trek from Chutanga to Yak Kharka, Overnight at tented Camp. Day 6; Rest day at Yak Kharka, Overnight at tented Camp. 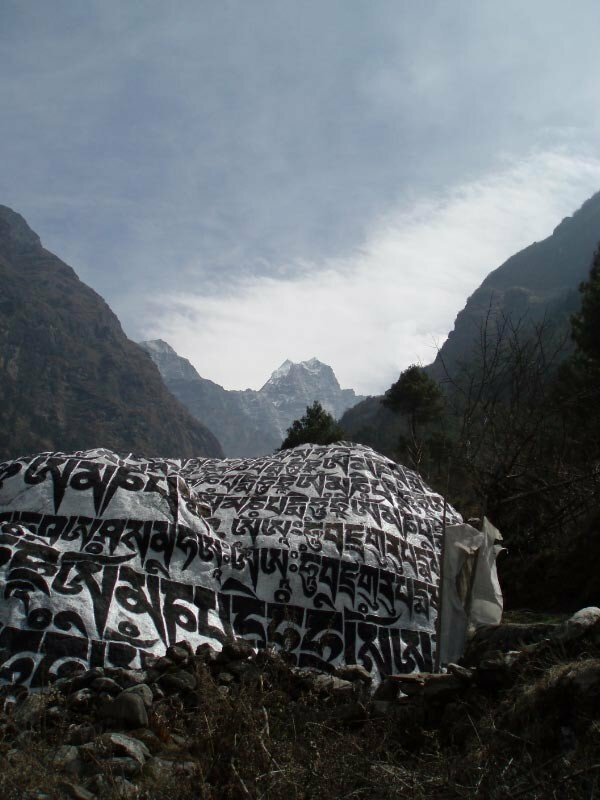 Day 7; Trek from Yak Kharka to Tashing Ongma (4943m), Overnight at tented Camp. Day 8; Trek from Tashing Ongma to Orshela (4304m), Overnight at tented Camp. Day 9; Trek from Orshela to Gondishung, Overnight at tented Camp. Day 10; Trek from Gondishung to Lungsamba (4063m), Overnight at tented Camp. Day 11; Trek from Lungsamba to Camp I, Overnight at tented Camp. Day 12; Trek from Camp I to Camp II, Overnight at tented Camp. Day 13; Trek from Camp II to camp III, Overnight at tented Camp. Day 14; Trek from Camp III to Kusum Kangru Base Camp, Overnight at tented Camp. 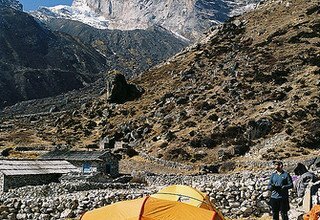 Day 15; Rest day and acclimatization for Kusum Kangru Climbing, Overnight at tented Camp. Day 16; Trek from Kusum Kanrgu Base Camp to Kusum Kangru High camp, Overnight at tented Camp. 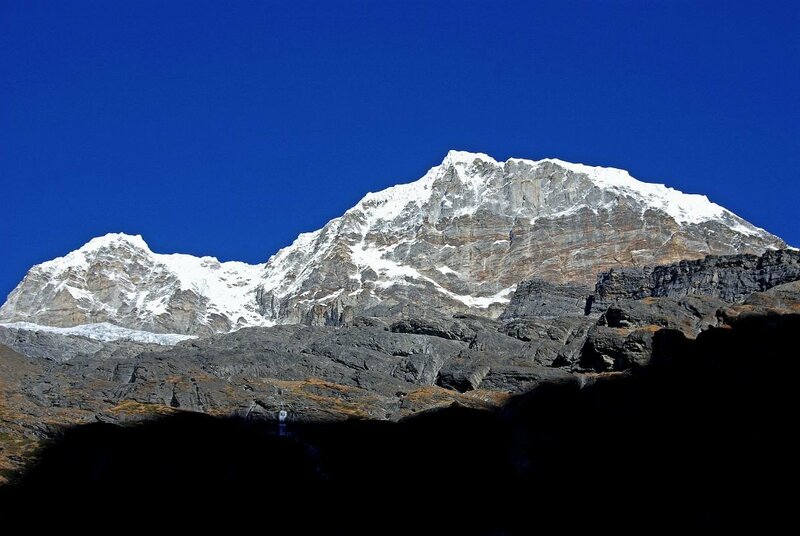 Day 17; Summit to Kusum Kangru climbing and back to High Camp, Overnight at tented Camp. Day 18; Reserve Day for Climbing due to bad weather, Overnight at tented Camp. Day 19; Trek from High Camp to camp III, Overnight at tented Camp. Day 20; Trek from Camp III to Gondishung, Overnight at tented Camp. Day 21; Trek from Gondishung to Tashing Ongma, Overnight at tented Camp. Day 22; Trek from Tashing Ongma to Chutanga, Overnight at tented Camp. 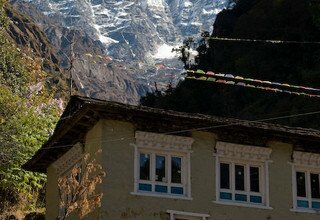 Day 23; Trek from Chutanga to Lukla, Overnight at tented Camp. Day 24; From Lukla to Kathmandu by flight and transfer to Hotel. Note; In case of emergency during the trip, helicopter will be arranged by SWISS FAMILY TREKS & Expedition GmbH. The charge must be paid by the client themselves. * Kathmandu city tour as per the above itinerary and all entry fees. * Domestic Flight Ticket from Kathmandu-Lukla-Kathmandu and airport tax. * Meals (breakfast, lunch and dinner) with Tea & coffee and hot water during the trek. 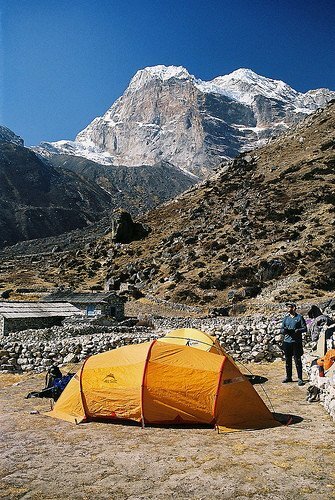 * 21 nights accommodation in tents during the trek. * All equipments for the trek (Tents and Kitchen Utensils). * 1 experienced, helpful and friendly guide, 1 cook and 1 helper, 1 sherpa, porters (1 porter for 2 peoples), their food & accommodation, salary, equipments and insurance. * Everest conservation permit, peak and all necessary permits. * Peak permits and garbage deposit. * Climbing Guide equipment and his insurance, salary. 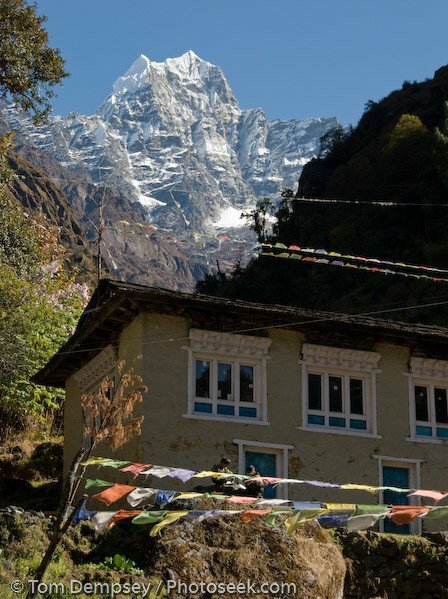 * Nepal Tourist Visa fee US$ 100$ for 3 months with multiple entry. 15 days 25$ with multiple entry. 1 month 40$ with multiple entry. You may easily issue the visa upon your arrival at Tribhuwan International Airport - Kathmandu. * Personal trekking equipments like, sleeping bags, jackets and so on. * Any kind of alcoholic drinks, hot shower, cold drinks, personal snacks, laundry, phone call, internet.